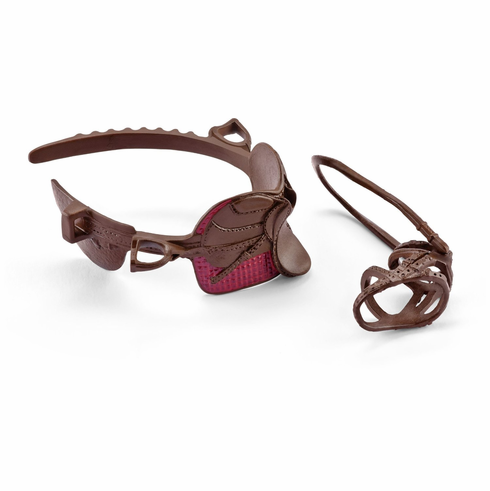 Schleich - Eventing Saddle + Bridle. Dressage or stadium jumping? The eventing saddle can be used for either - it's a jack of all trades. It offers riders a good seat for classic dressage, while it takes the strain off the horse's back during jumping. For this reason, an eventing saddle is often used for all three stages of an eventing competition. They're also very popular in riding schools, because they're safe for beginners and ideal for riding excursions. The colorful saddlecloth, made of absorbent material, provides additional padding.